Description: The ocean dominates the surface of the earth and is in the pages of the Bible too. The Bible offers a view of the sea and the life it supports which affirms its intrinsic value to God as a good, and indeed essential, part of creation. At the same time, it also speaks perceptively of the sea's vulnerability to damage and change. The Bible's focus on the sea raises questions about economics and the interconnectedness of communities, whilst further references to the sea raise questions about our human-centredness and spirituality, and about our fear of chaos and disaster. In a unique collaborative project, the oceanographer Meric Srokosz and the biblical scholar Rebecca Watson not only offer environmental insights on the sea, but also connect the ocean with other key issues of broader concern -- spirituality, economics, chaos, and our place in the world. Each chapter concludes with ideas for discussion and reflection, and for suggested actions in the light of the issues raised. The book will present a fresh new lens through which to view the Bible and as such inform biblical scholars, students, and preachers alike. 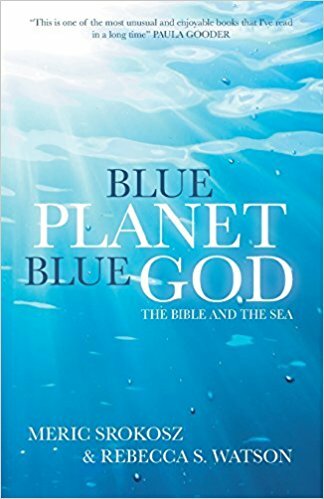 Citation: Peter L. Trudinger, review of Meric Srokosz and Rebecca S. Watson, Blue Planet, Blue God: The Bible and the Sea, Review of Biblical Literature [http://www.bookreviews.org] (2019).